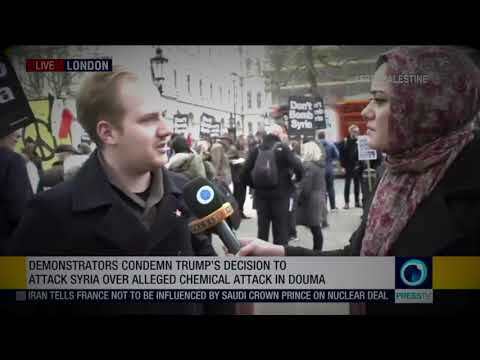 After a relative lull in the propaganda war against Syria, during which imperialism was at pains to give the impression that the phony war against its own idiot child, Islamic State, was at least as energetic as its push for regime change in Damascus, the anti-Assad lie machine is once again firing on all cylinders as the warmongers seek to whip up a mood of hysteria against what it pleases the Chancellor, George Osborne, to call “this evil Assad regime”. And not far behind the campaign of lies and distortions aimed at unseating the legitimate leadership of Syria comes a new torrent of manufactured paranoia about the ‘Russian threat’. At the beginning of September, the prime minister, David Cameron, announced to the House of Commons that drones operated remotely by the RAF had killed two British men on Syrian soil who were allegedly militants of the Islamic State (IS) terrorist group. This announcement was calculated to achieve two goals: firstly, to use the climate of hysteria whipped up around the spectacular actions of IS to stampede public opinion into endorsing the right of the state to assassinate anyone it alleges to be terrorists, anywhere on the planet (presumably including Britain), without even the pretence of any legal process; and secondly, to undermine still further the veto on British bombs dropping on Syria that was supposedly imposed by the exalted ‘democratic’ will of Westminster in September 2013. This pious veto was already holed below the waterline by Cameron’s earlier admission that RAF pilots had been embedded with coalition forces engaged in bombing Syria; the extrajudicial drone slaughter sinks it completely. Whether Jeremy Corbyn’s abrupt elevation to party leader will make the majority of the parliamentary Labour party herd sufficiently nervous for it to raise a serious obstacle to the bombing of Syria is too soon to judge. Be that as it may, all previous signs indicated that the Labour mainstream was content to respond to this flagrant disregard for the rule of law and the ‘democratic’ wishes of Parliament in the most narrow and pusillanimous fashion, just quibbling over the delay in informing Westminster of these developments and the imprecision of the government’s war plans. What else did Cooper want to know exactly? With RAF pilots already dropping bombs on Syria and RAF stations deploying drone strikes on Syria, what further information was required to enable Labour MPs to ‘respond’? Did she want the bombing coordinates? The reality is that the previous de facto Labour leadership actually preferred to be kept in the dark, sooner than be forced to openly embrace a policy of imperialist aggression indistinguishable from Labour’s own in Afghanistan and Iraq. The erstwhile acting leader Harriet Harman’s instinctive first response to the drone affair was simply to kick it into the long grass waving over Westminster’s Intelligence and Security Committee. Now that Corbyn is the anointed leader, his verbal opposition to military action in Syria, however half-hearted and inconsistent, will sooner rather than later bring him into abrupt collision with the majority of his own MPs, let alone with the imperialist ruling class. How he is able to square the conflicting demands of his party, his ultimate bosses in the imperialist ruling class, and the hopeful supporters who voted him into office remains to be seen. 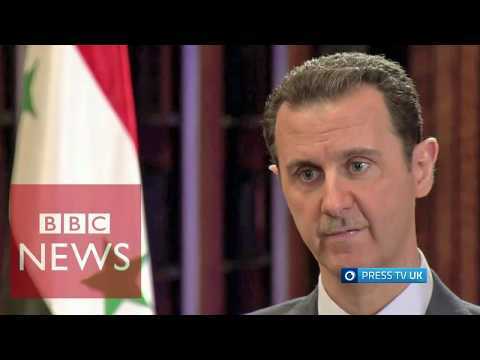 The last serious effort to get public opinion firmly behind direct British military action against Syria made maximum propaganda use of the accusation that President Assad bore responsibility for a horrific chemical attack carried out in a suburb of Damascus on 21 August 2013. This accusation, unequivocally endorsed at the time by the White House, was subsequently completely discredited, thanks to the efforts of such as Seymour Hersh, whose investigations pointed the finger of blame at Syrian opposition forces, which, working in cahoots with Ankara, themselves carried out the attack, hoping thereby to tip the balance in favour of open Anglo-American intervention. Two years on, the same cynical propaganda ploy is being used in relation to events in Douma on 16 August this year, again in the suburbs of Damascus. Douma has been the scene of much fighting over recent months and years, a prey to the numerous armed factions that have sought to claim the town as their stronghold. According to the official imperialist media line, the Syrian airforce is supposed to have dropped bombs on a crowded market place, killing over a hundred men, women and children in what amounted to a massacre. These ‘facts’ are asserted with the same moral certainty with which Damascus was falsely branded a chemical warmonger two years ago, and with the self-same intention as before: to bounce public opinion into war. Yet the most cursory glance at the evidence at once reveals gaping holes in this story, as has been pointed out by at least one investigative journalist. For one thing, the victims of such a Sunday market bombing would surely include many female victims. But, according to a list of the dead issued by the opposition themselves, out of a total of 102 dead, just three were women. The extensive video footage purporting to show the aftermath of the attack with one exception includes no bodies; in the one piece of footage that does include bodies, all the victims appear to be men of military age, not market-day shoppers. Most significantly of all, the media coverage is careful to downplay the fact that, on the weekend in question, fighting raged widely across the suburbs. By disregarding this context, the attack in Douma can then be presented as a bolt from the blue aimed at Sunday shoppers peaceably going about their business. This was just one more in the constant drip-feed of atrocities that are being carried out by terrorists and facilitated by imperialism via its regional auxiliaries in Saudi Arabia and Turkey, prolonging the agony of a war it cannot win but refuses to relinquish. 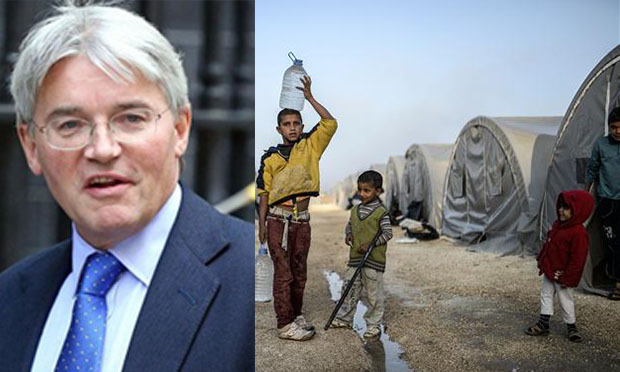 To make Turkish assistance to Islamic State more effective, former cabinet minister Andrew Mitchell now wants the UN to set up official ‘safe havens for refugees’ inside Syria on the border with Turkey, to be patrolled by British troops. When it is recalled that the ‘refugee camps’ on the Turkish border have long been infested with gangs using the camps as a launch pad for acts of terror against Syria, the true intention of Mitchell, this former ‘secretary for international development’, becomes clear. It is clear that a decision has been taken to shift the public mood on refugees from a general siege mentality (‘Islamic State is invading through the channel tunnel’) to nostalgic memories of the Kindertransport. This gear change has nowhere been clunkier than in the immigrant-bashing Sun newspaper. Now, though, blazoned over the well-known photograph of a drowned refugee toddler lying on a Turkish beach, the headlines urge “Mr Cameron, summer is over … now deal with the biggest crisis facing Europe since WW2”. The reality is that similar gut-wrenching photos reflecting no less appalling human tragedies could at any time have been splashed all over the media as desperate people risked everything fleeing from the wars ignited and stoked by the West in Afghanistan, Iraq, Libya, Somalia, Sudan, Yemen and countless other countries reduced to hell-holes by imperialist war. But what was required here was a single image that could serve to fix in the popular consciousness the notion of the ‘good refugee’ as opposed to the ‘bad refugee’. In announcing the decision to invite 20,000 refugees to Britain, Cameron was at pains to spell out that these were not to include those who have struggled up through Europe and are now festering in Calais. 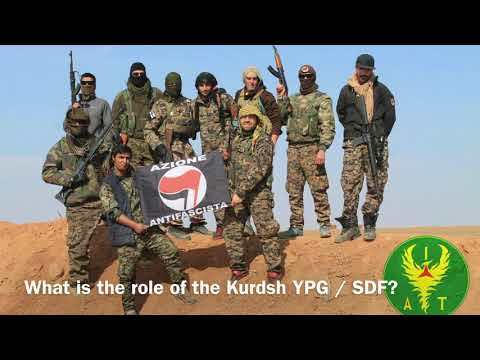 The invitation was extended only to the ‘good refugees’ – namely, those to be found in camps on the Turkish border (ie, the camps effectively run by anti-Assad terrorists and which Mitchell would like to see transferred onto annexed Syrian territory and patrolled by British squaddies). Whatever the true allegiance or wishes of these refugees might be, they are to be used as pawns in a propaganda game whose pretended enemy is Islamic State but whose actual target is the progressive leadership of Syria. 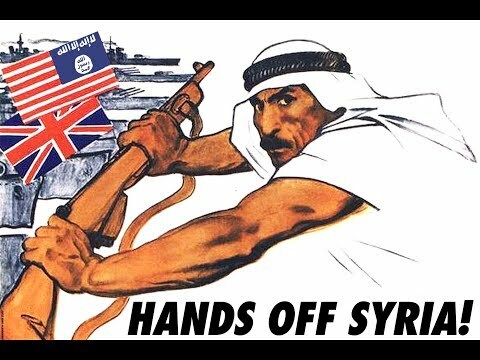 But, if British imperialism, under the guise of fighting IS, really does intend to take on Syria in open military conflict, it will find itself in a quagmire of unimaginable proportions. In four years of fighting the proxy forces of imperialist subversion, the Syrian army has proved its mettle many times over. Nor is Syria without friends in the world. Washington’s nervous awareness of this fact is reflected in the anti-Russian propaganda blasting out at present from all the imperialist media. Predictably, videos are surfacing on the internet purporting to show Russian fighter jets over Syria and combat troops speaking Russian. Perhaps they have been seconded from the phantom battalions supposedly haunting Ukraine? 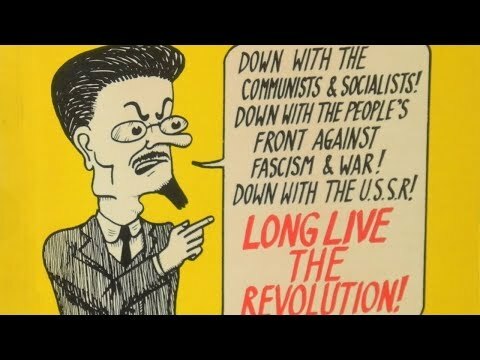 As Syria faces this latest twist in the war of subversion waged against its leaders and its people, it is more than ever the duty of British workers to stand in solidarity with that beleaguered nation against the lies and intimidation emanating from our own imperialist rulers. 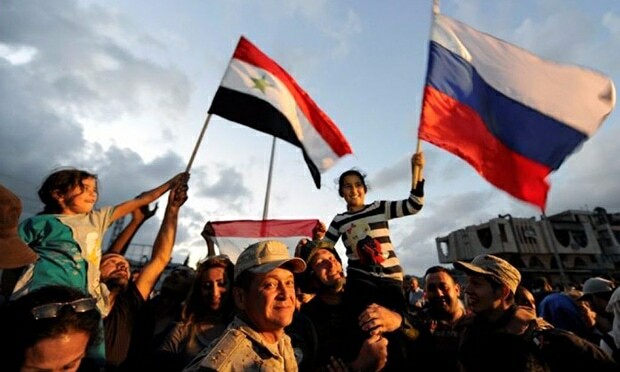 Victory to the Syrian government, army and people! 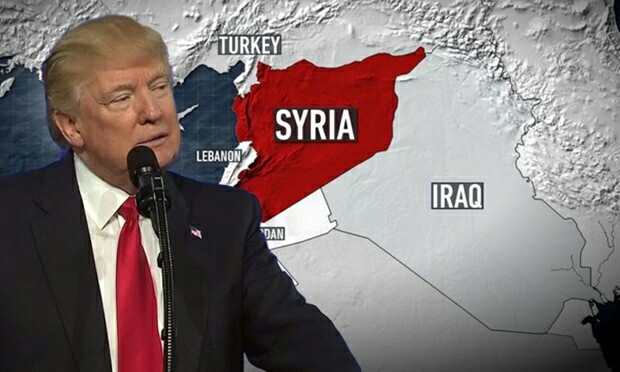 As we go to press, statements by political leaders in Russia, Germany and the US might suggest that imperialism may yet be forced to have second thoughts about mounting full-scale hostilities in Syria. 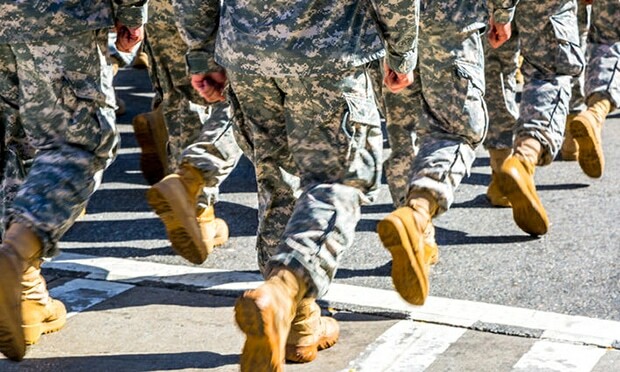 On 11 September, Russia called on the US to cooperate militarily in Syria to avert “unintended incidents”, and, on 18 September, Russia announced that it would consider supporting the Syrian government with combat troops if Damascus asked for that. Under pressure from the escalating refugee crisis, itself a direct consequence of imperialist warmongering, Germany welcomed the willingness of Moscow to get involved in Syria. Her foreign minister Steinmeier announced that he is to make fresh efforts, in concert with his Russian and French counterparts Sergei Lavrov and Laurent Fabius, to end the civil war. Feeling the diplomatic ground shifting underfoot, the US defence minister reportedly got on the phone to his opposite number in Moscow to talk about ways to “deconflict” US and Russian respective operations in Syria. Some observers read significance into a subtle change of wording in official statements, which are presently talking of no ‘long-term’ future for President Assad as opposed to no future full stop. 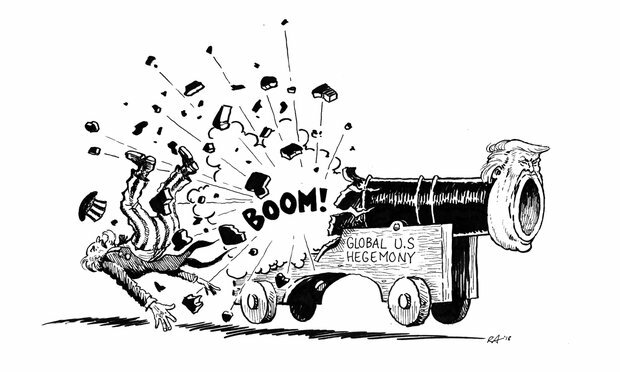 Be that as it may, the world remains on the brink of what could be a rapidly escalating theatre of war.